NEW Gear for Spring & Summer! Did you think we forgot about you? Sorry for the infrequent posts, it’s just that we’ve been hard at work tying knew gear for the Spring/Summer 2012 season. Check out some of our latest designs! All of our gear can be found at our online store Top Knotch Gear on Etsy. A dog collar where the paracord is integrated into the nylon collar. Not just tied over, the paracord is woven right into the collar, making it strong, reliable and fully customizable. It’s got a heavyweight metal buckle and welded d-ring, and comes in all of your favorite colors. Adjustable paracord and nylon dog collar tied in custom colors! This is a slip-on bracelet tied from a 2mm (thin) black cord. The black part is stretchy, so one size fits most, and it’s got a double silver chain that dresses it up a bit. 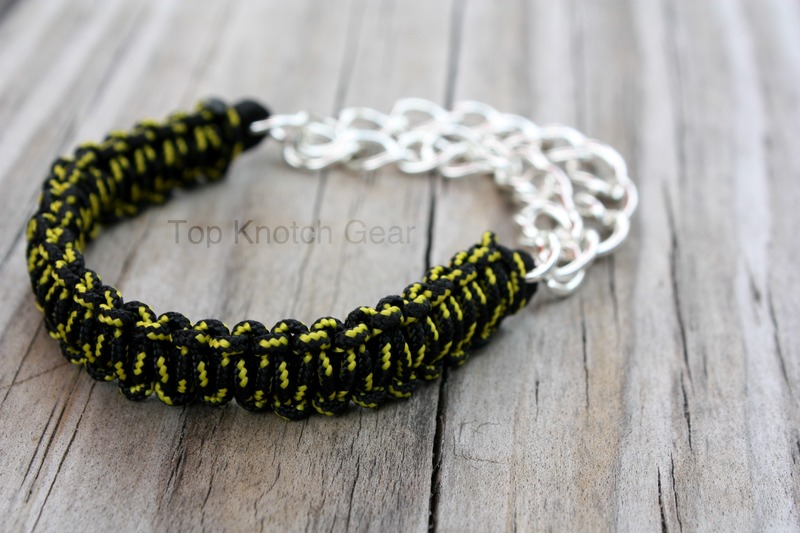 Below that is another bracelet tied in the same style, but with yellow flecked cord. 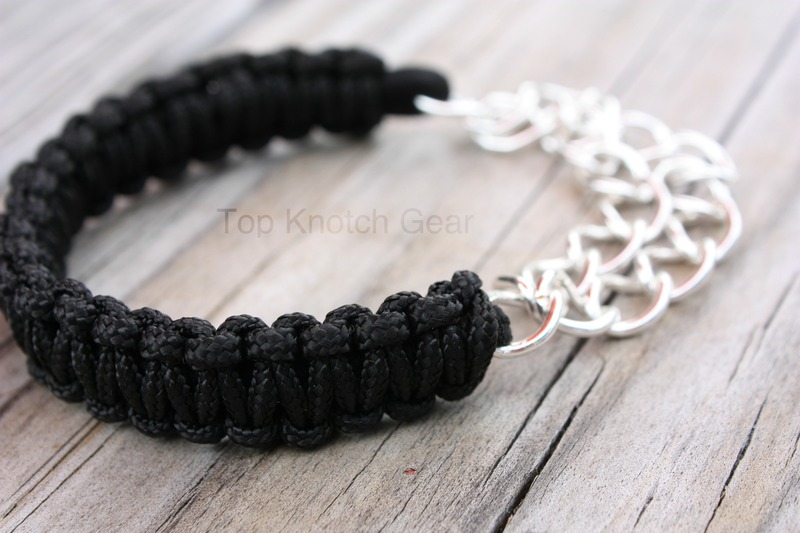 Our black slip-on knot and silver chain bracelet is tied in 2 mm nylon cord. We like to call it "rugged sophistication." Same as above but tied in 1.5 mm black- and yellow-flecked cord!